A native of Mount Sterling, Kentucky, Reese Terry, Jr. began his undergraduate studies in 1960 at the University of Kentucky in civil engineering as a recipient of a transportation scholarship. Realizing his interests lay elsewhere, he transferred to electrical engineering in his junior year. Mr. Terry earned bachelor’s and master’s degrees in electrical engineering in 1964 and 1966 both from the University of Kentucky. Mr. Terry has led a most distinguished professional career beginning in 1967 at Cordis Corporation, a heart pacemaker manufacturing company. In 1976, he joined Intermedics, Inc., Freeport, Texas, a medical device and electronics company. Climbing the corporate ladder, Mr. Terry served as Vice President of Engineering, Vice President of Corporate Technical Resources and Vice President of Quality. Throughout this period, he pursued his interest in the research and development of pacemakers. He co-developed the first programmable heart pacer in 1973, and co-developed the first programmable dual chamber pacer in 1980. In 1986, a neurophysiologist, approached Intermedics with his research on stimulation of the brain via the vagus nerve. While the company recognized the importance of this research, their main focus was cardiac pacemakers. Mr. Terry saw great potential in this area and decided to pursue it further. In 1987, Mr. Terry co-founded Cyberonics, Inc. in Webster, Texas. Cyberonics was founded to develop, manufacture and market neuromodulation therapies for patients with epilepsy and other inadequately treated neurological disorders. There are over 4.7 million people living with epilepsy in the United States, Western Europe and Japan. For a third of these patients, anti-epileptic drugs either fail to work or are accompanied by severe side effects. For one-third of these patients, antiepileptic drugs either fail to work or are accompanied by severe side effects. For these individuals the Vagus Nerve Stimulation Therapy using the Cyberonic NeuroCybernetic Prostesis (“NCP”) System was developed. The first human implant of the NCP system was performed in November 1988. Heralded as a breakthrough treatment for epilepsy, this is the first new treatment that reduces seizures without the side effects associated with other treatments and improves the patient’s quality of life. Vagus nerve stimulation also has the potential of treating a number of other major, previously untreatable, neurological disorders, and pilot studies have been initiated. Mr. Terry is a well-known and respected member of the medical research community, and is a board member of the South East Texas Chapter of the American Epilepsy Society. Through his efforts, Cyberonics, Inc. helped establish the J. Kiffin Penry Patient Travel Assistance Fund to pay for travel expenses to help needy epilepsy patients and their families reach appropriate treatment centers. 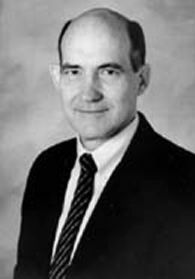 R&D Magazine, in their 1998 award to Mr. Terry, wrote that the NCP is, “The first new approach to epilepsy treatment in 100 years”. In 1993, Mr. Terry was awarded the Industrial Research, Inc. 100 Award for the Cordis Omnicor Programmable Pacemaker; was nominated for the Smithsonian Institute and Computer World Magazine Medical Technology Advancement of the Year Award; and in 1990 was nominated for the Entrepreneur of the Year in Houston. He has been granted numerous patents. He holds professional memberships in the Institute of Electrical and Electronic Engineers, American Association of Medical Instrumentation, International Society of Hybrid Manufacturers, Health Industry Manufacturers Association, North American Society of Pacing and Electrophysiology, and American Epilepsy Society. He is a board member of the Epilepsy Foundation of America and a member of the Webster Presbyterian Church. Residing in Houston, Texas with his wife, the former Jerrilyn Brown, the Terrys are the parents of three children, Angela, Richard and Reese III.